Here is a review of CcHUB’s new initiative aimed at driving the growth of technology innovation and entrepreneurship in Nigeria. This just caught my attention and I think it is such an innovative idea. Leave it to the Nigerians to change things up. While the rest of the world is putting plans in place to build their various tech cities, Nigeria’s tech hub in Lagos, has decided not to. 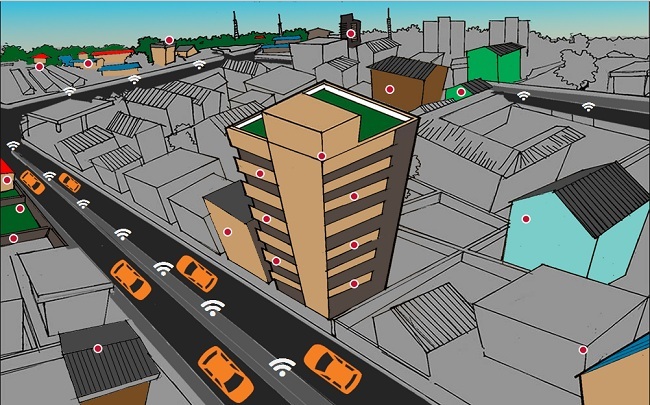 According to the latest project by Lagos’ innovation hub ccHub, the city is concerning itself with a tech neighbourhood (hat tip: White African) rather than a whole city. The initiative runs under that of the i-HQ Project, an industry led initiative that aims to accelerate the growth of technology innovation and entrepreneurship in Nigeria. A collaborative effort between ccHub, Innovate Lagos and the Federal Ministry of Communication Technology. In essence the i-HQ project is a more focused version of Silicon Lagoon. The first phase of the initiative include: Centre of excellence, Broadband Active i-HQ, Traffic Jam Free i-HQ. The centre will serve as collaboration and co-creation space for all players within and outside of the i-HQ neighbourhood. “Our goal is to acquire the 6 storey building located at 294, Herbert Macaulay Way Sabo, Yaba,” says the initiative. The building currently houses ccHub and will accommodate other key players in Lagos’ growing tech scene. The project hopes the innovators in the building will “collectively provide leadership, best practices, research, training to accelerate the economic contribution and global positioning of the Nigerian technology ecosystem”. A true tech neighbourhood needs proper broadband connectivity. Through collaboration with the Lagos State Innovation Advisory Council and MainOne Cable Company, the partnership hopes to install fibre optic cables through the hood. “This move will enhance the connectivity of the cluster members and open up i-HQ for other technology businesses,” according to the project. To sort out the traffic situation in the area the group is hoping to come up with a scientific solution through research and more partnership. Pretty cool. Get one neighbourhood set up and running as a certified tech hub, if it’s successful take the same model and transplant it somewhere else. The guys at ccHub and their partners may not be looking to build a whole tech city but if the same model can be used in different neighbourhoods around the city, a tech city they will have without even thinking about it. It will be very cool to see how the next stage rolls out and what it entails. When would this project start? And you didn’t not give a breakdown or explanation of Ђδω people will register?